The MONOPOLY game at McDonald's is in its 20th year and has become an annual staple in mainstream America. 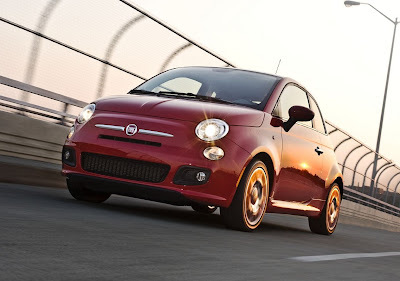 This year, Fiat USA has teamed up with McDonald's and is giving away more than 30 Fiat 500s to lucky game winners. To participate, head on down to your local McDonald's or, if you have a more discerning palate, go to www.PlayatMcD.com and enter online. Your chance to win a Fiat 500 in the MONOPOLY game at McDonald's runs from September 25 through October 22 in restaurants and through November 3 online. Go for it! 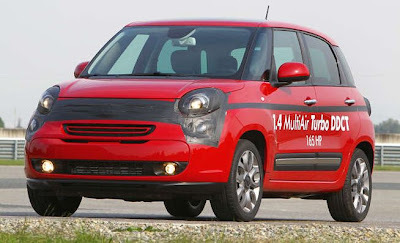 The first images of what appears to be the US Fiat 500L have surfaced in the Italian media. The new Fiat 500L hit the Italian market over the weekend and tucked away in all the press imagery were glimpses of what we should see next spring at our local Fiat Studio. Externally, the US Fiat 500L has been given a makeover for a smoother, more integrated look without all the black trim used on the Euro 500L. The front facia has been subtly reshaped and features a body colored bumper and a new grill pattern. The rear has been altered the most and, along with the elimination of the black "bumper", has had the lower portion extended noticeably. Take a ride in the new Fiat 500L at Fiat's Balocco test facility. This car is equipped with the US spec 165 hp 1.4L MultiAir Turbo backed with the 6 speed DDC transmission. In Europe, the Fiat 500L offers numerous engine options: the 105 hp .9L TwinAir, the 85 hp 1.3L MultiJet II diesel, and a 95 hp 1.4L MultiAir that is similar to the 101 hp engine used in the US spec Fiat 500. 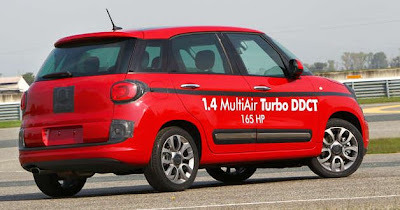 However, the US Fiat 500L will use an uprated version of the Fiat 500 Abarth's engine, rated at 165 hp - up 5 hp over the Abarth's specs. 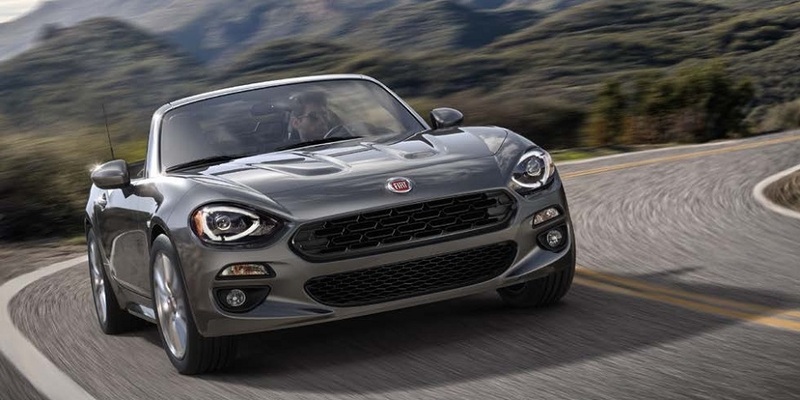 According to sources, the engine will not utilise a Sport mode, which typically tightens the steering effort, increases the throttle response, and in the case of the 500 Abarth, bumps the engine torque up by 20 lbs.ft. Transmissions in the cars tested were the 6 speed Dual Dry Clutch C635 first seen in the Alfa Romeo MiTo and used in the new Dodge Dart. This DDC transmission is considered the overall class benchmark and boasts a 6 percent advantage in fuel efficiency compared to a conventional manual transmission. For the US, its shift characteristics have been tuned to provide softer engagement for a more refined feel. 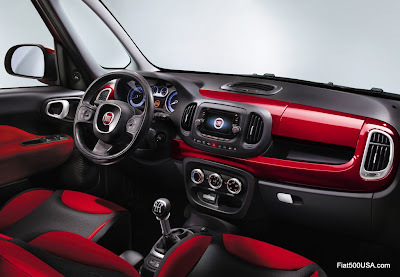 There is talk the 500L will also offer a conventional six speed manual. 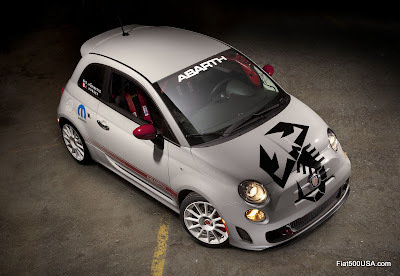 Abarth Empowerment. 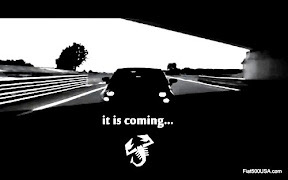 If you are an Abarth enthusiast you've heard this phrase many times. It is the concept of turning a car into something extraordinary and unique, whether through tuning and customization or accessorizing. To promote this philosophy, Abarth will debut a special program during the upcoming Paris Motor Show called "Fuori Serie" or "Special Production." With "Fuori Serie," Abarth owners will be able to interact directly with the company to have their new Abarths customised down to the smallest detail by a team of specialised Abarth designers, engineers and mechanics. 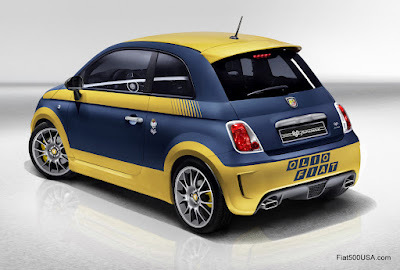 The Fuori Serie cars will be based on the potent Abarth 695. These cars feature an upgraded 180 hp T-Jet engine, a paddle shifted 5-speed C510 “Abarth Competizione” gearbox, large Brembo 4 piston caliper front brakes and Koni suspension. 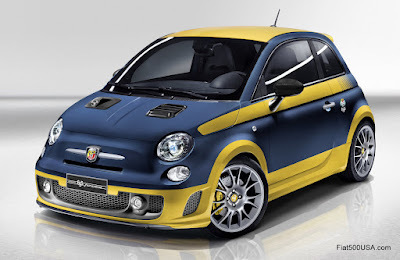 Clients may choose from a specialized palette of colors and materials not available in the standard Abarth 500. Carbon fiber trim and a Harman’s JBL audio system are part of the interior package. Abarth will offer two versions to select from, each with their own unique flavor. First is called the Heritage Collection, inspired by the legendary Abarth championship cars from the past, but reinterpreted in a modern way. 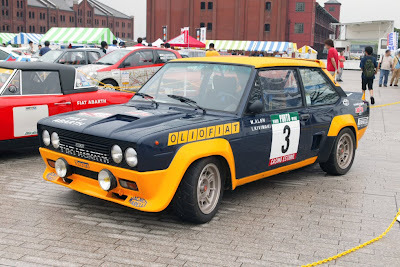 An example is the above Abarth 500 that sports the look of the world rally champion Fiat Abarth 131 Mirafiori with its Olio Fiat livery. Next up is the New Wave collection and draws its inspiration from the modern world of sports and supercars. Expect to see the use of the latest colors and materials. Abarth 695 Fuori Serie cars will be produced at Abarth's Mirafiori works in Torino, Italy and come with a certificate of authenticity. 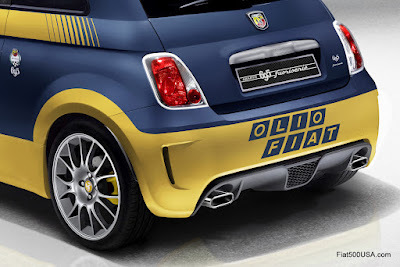 Adding to the cars exclusivity will be the fact that the cars first owner will be listed as Abarth&C. Look for the Abarth 695 Fuori Serie at the Paris Motor Show, September 19 through October 14. Maximum power: 180 HP (132 kW) at 5500 rpm. Maximum torque: 250 Nm at 3000 rpm in sport mode. Turbocharging: fixed geometry Garrett 1446 turbocharger. 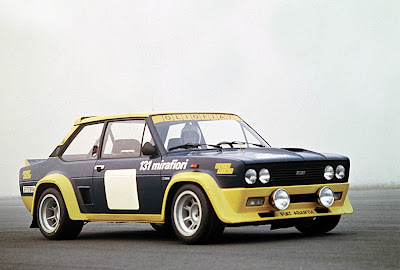 “Powered by BMC” filter, specially developed for Abarth. Special design 7x17” ET35 aluminium alloy wheels with 205/40 R17” tyres. “Record Monza” dual mode exhaust system. acceleration 0-100 km/h: < 7 sec. 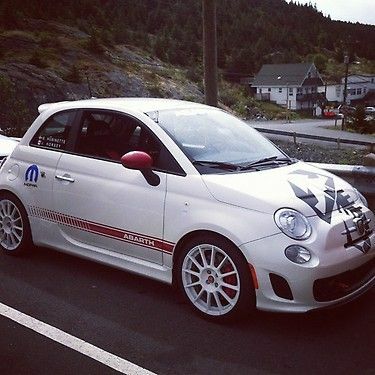 True to the "Small but Wicked" moniker coined by Carlo Abarth, the new Fiat 500 Abarth beat out a slew of competitors to capture second place overall at the 2012 Targa Newfoundland motorsport event. The grueling Targa Newfoundland is a high speed road rally held on public roads and covers over 1200 miles including up to 335 miles of closed-road, flat-out Targa stages. 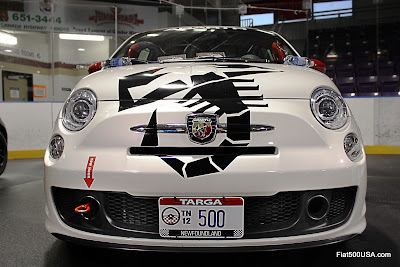 Competing in the Open Class category, the Fiat 500 Abarth driven by two-time Formula DRIFT champion and stunt-driver Samuel Hubinette and co-driver Jen Horsey recorded 4 second place and 1 first place wins during the 5 legs of the event. This performance earned them second place in the final standings. It was Hubinette's first rally. 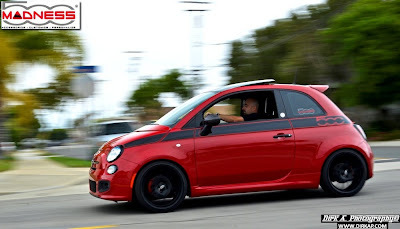 In addition to the outright second place win in its class, the Fiat 500 Abarth also won Next Generation Challenge award that recognizes cars with engine displacments of 1.6 liters or less and the 2012 President’s Manufacturers Cup. 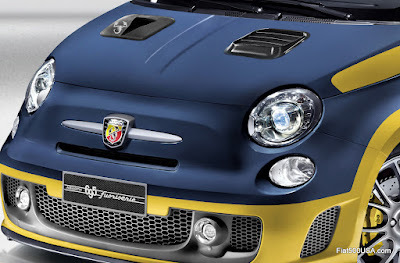 The Fiat 500 Abarth just hit US streets and already there is a growing list of aftermarket parts available to personalize the the car to one's individual tastes. One popular modification is installing a short shifter. The shifter on the 500 Abarth is the same as the one used in Europe and has a good reputation, however there are aftermarket shifters available that offer an enhanced feel. These typically provide shorter shift lever travel or throw and a more robust feel by the elimination of plastic componentry in the stock shifter. 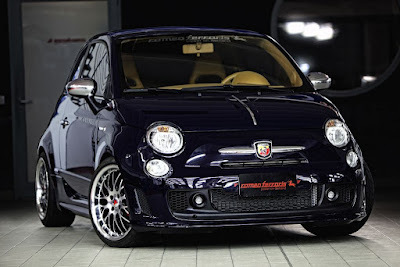 One of the more popular short shifters sold for the Fiat 500 Abarth is by Craven Speed out of Portland, Oregon. The Craven Speed short shifter for the Fiat 500 Abarth is manufactured with a stainless steel shaft and pivot ball along with machined anodized aircraft aluminum. I recently purchased the Craven Short shifter from 500 Madness and here is how I installed it. The stock shift knob on the Fiat 500 Abarth is a nice, leather covered piece. It is possible to reuse it, but because the Craven Speed short shifter's shaft is physically not as long as the stock one, the shift boot will be too tall and not look correct. To remove the 500 Abarth's shift knob, pry the cap off of the top with something not sharp like a credit card, etc. The cap is held down with tabs unlike the one used in the regular Fiat 500. That car's cap is held on with double sided tape. The 500 Abarth's knob is held on with a 10 mm hex head bolt. Remove the bolt. You need to pry up the shift boot from the center console. You are working with plastic so use something that won't gouge it. Work the pry tool underneath the boot. Getting a good grip on the boot and pry tool, give them a wiggle and a tug. The boot assembly will pop free from its mounts. There is a zip tie at the top that connects the shift boot to the shift knob at the top. You shouldn't have to remove it, but if you do, it is covered by a piece of electrical tape. You can see two of the silver tabs in the console that held the boot down. Grab the bottom part of the console like this and give it a yank. It will pivot up. To remove the top part of the console, you will have to disconnect the power window switches. Use a thumb nail to depress the tab on the connector. Using a wrench placed between the shift cable and the shifter, pry off the cable ends. This is easy, so don't sweat it. Work a screw driver between the tabs holding the shift ball socket to the car. This is a little tedious and the plastic is soft so take your time and wear your glasses to see if you need them! Don't give up! Trust me, it will come out. This is the only pain in the whole process. It felt so good getting the shifter out I had to take another picture! The difference between the stock Fiat 500 Abarth shifter on the left and the Craven Speed Abarth short shifter on the right. The term short shifter is not used because the shift lever is short, but refers to the short throw of the shift travel. There is a slight altering of the geometry of the shifter and that effects the throw. Also note the typical plastic ball socket on the stock Abarth piece and the stainless steel one used in the Craven Speed shifter. The machined aircraft aluminum shift bracket is also more robust than the stock Abarth's stamped steel one. Details of the 500 Abarth's OE shifter and the Craven Speed's shifter. Snap the plastic shift ball socket cup onto the the new shifter. The Fiat factory uses a white lithium grease to lube the shift ball socket, which is perfectly acceptable. I used a silicon grease after I cleaned out the old grease. On the cable ends I used a smear of moly grease (typically used in CV joints). Offer up (I'm part Scottish / English) the Abarth's shifter assembly. Get it into the correct position and then start securing the tabs. To get it to seat, you will have to give the shifter a solid whack from a soft face (rubber) hammer. Don't just grab the first BFH you find! Go all around the shift ball socket and make sure all the tabs are securely seated and snapped back into place. I used a screw driver and a hammer to carefully tap each tab down. Take the time and do it right. Snap the shifter cables back onto the ball ends of the new shifter assembly. This was easy, and I did it by hand, but it is possible you will need a pliers to squeeze the cables back on. From this point, you can start assembling everything back. Don't forget to connect the power window switches! You can use the stock 500 Abarth shift boot and knob, but the boot will look a little funky because it will be too tall for the new shift lever. Here is how to change the boot. The Fiat 500 Abarth uses a trim ring to secure the shift boot to the shift boot mount. This has keyed tabs and only goes together one way. Do yourself a favor and get some whiteout, etc. and mark one of the tabs so you know how to assembly the two pieces. Don't do it if you like to put puzzles together! The two pieces pop apart. Here is a detail shot on the tabs. I picked up a Magneti Marelli shift boot and fit it to the shift boot mount. Important: The tabs that fit into the shift boot are asymmetrical, so you will have to carefully line them up. This is easy, but you can see why an upholsterer gets paid a lot of money. Like the factory, I used a zip tie at the top of the shift boot to gather the material and hold it close to the shift lever. This is optional and is up to you how to handle this. Make sure you align the shift boot mounting tabs in the console (they only go one way) and snap the boot down onto the counsole. Completed. The Fiat 500 Abarth short shifter by Craven Speed with Magnetti Marelli suede shift boot and carbon fiber shift knob by the Italian company Black. The end results are a noticeable improvement in rigidity, less shifter travel and a more positive shift feel. Effort is slightly increased, but not an issue. Note: the Fiat 500 uses a similar shifter set up as the Abarth, so this may help those installing a shifter and / or shift boot in that car. Disclaimer: This documents how I did my install and is provided for entertainment purposes. If you have any doubts on you ability to do this work or have any issues, I recommend having it done by a professional. I am not responsible for any issues arriving from you reading this post. Use at your own risk. 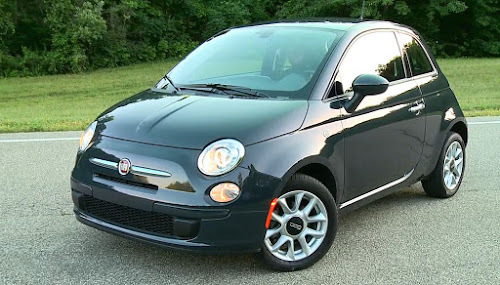 The new 2013 Fiat 500L will make its Italian television debut on September 16. This latest addition to the 500 model range will be introduced to Italian Fiat showrooms later this month, with a US version coming sometime next year. 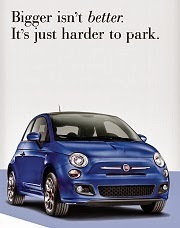 The "L" in the 500L's name means "Large" and larger it is, being 23.3 inches longer than the regular 500 hatchback. The roomy Fiat 500L boasts the largest interior volume in its category with more than 111 cubic feet of passenger room and able to hold up to five roller suitcases. It is also a very versatile car, with 1,500 possible configurations of the interior space. The Fiat 500L will even transport objects up to 2.4 meters long (about 8 feet)! 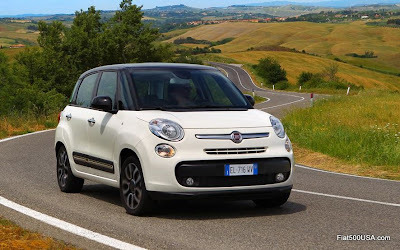 The Fiat 500L showcases the latest technology and connectivity, but don't cringe at that statement, because Fiat has simplified the interfaces to make them ‘human-friendly’ and easy to operate and connect to. 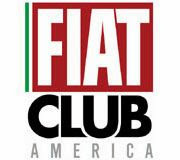 Fiat dealerships all across Italy will hold an open house to premier the Fiat 500L on September 22nd and 23rd. 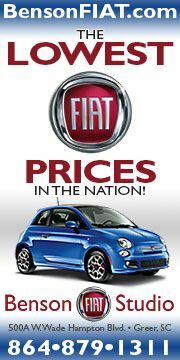 The Fiat 500 Abarth will be competing in the exciting 2012 Targa Newfoundland taking place from September 8-15. 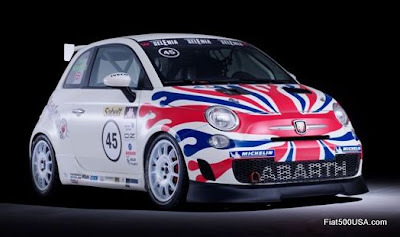 Driving the Fiat 500 Abarth will be two-time Formula DRIFT champion and stunt-driver Samuel Hubinette, along with Targa Newfoundland veteran Jen Horsey as the co-driver. The 2012 Targa Newfoundland, named after the famed Targa Florio in Italy, starts in St. John’s on September 8 and concludes back in the capital on September 15. The 11th annual rally covers more than 2,000 kilometres of challenging, twisty roads in the central and eastern portion of Newfoundland, including up to 450 kilometres of closed-road, flat-out Targa stages. Video showing the types of roads the Fiat 500 Abarth will be competing on. 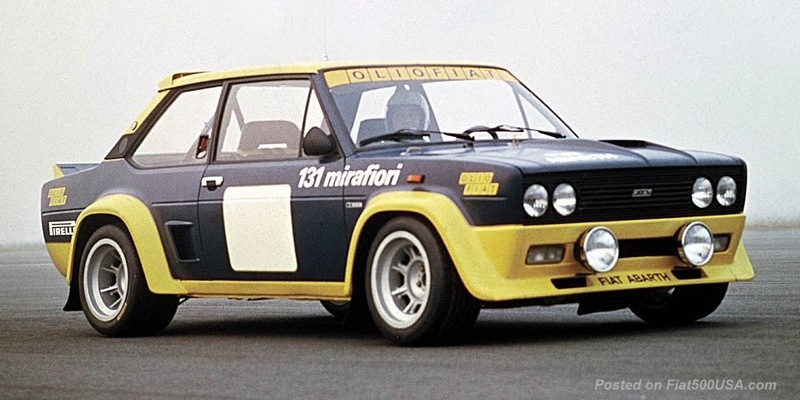 Watching this Abarth 1000 TC Berlina Corsa in action will give you an idea of why the Abarth name is legendary. Same 1 liter Abarth chasing down and passing a Porsche.